Policy Planner will assist you in knowing the right claim process step by step for various plans like Term Insurance, Health Insurance, Car Insurance, etc. However, the claims team of the respective insurance company is responsible for settling the claim and disbursing the claim proceeds. But we truly value you as our customer and will hand hold you in filling a claim with your Insurance Company by providing the step by step procedures for the same. For Life or Health Insurance Plans, it’s prudent to narrate your appointed nominee/family members about the claims process and the documents required during the course of claim filing to avoid any hassles at that traumatic time for your family. 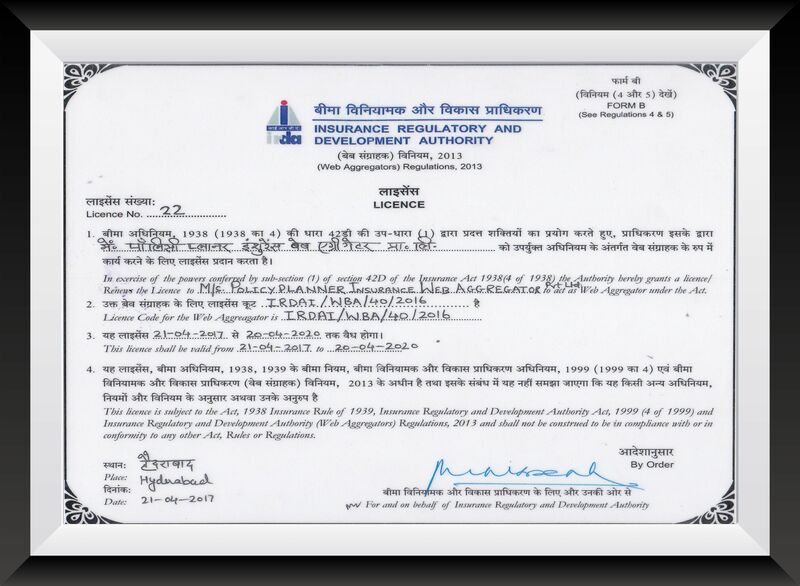 For any more assistance, feel free to mail our insurance experts at support@policyplanner.in Just select the particular type of Insurance Product to know the detailed Claims Process for your convenience.Also, you may download the claim form and get the claims related contact details of your Insurance Company from our website. Please note: The requirements, documentation and timelines may vary from insurer to insurer.